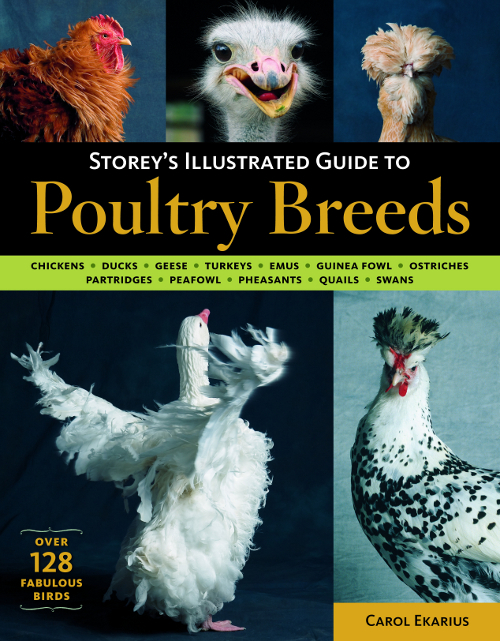 More than 128 birds strut their stuff across the pages of Storey's Illustrated Guide to Poultry Breeds, the ultimate primer for farmers and fanciers alike. Admire the handsome black and white plumage of Lakenvelder roosters, read the fascinating history of the Blue Hens of Delaware, and marvel at the petite size and toylike appearance of Call ducks. And if you re curious to know which heritage turkeys are making a comeback, look no further. This definitive guide to North American barnyard and wild fowl includes a brief history of each breed, detailed descriptions of identifying characteristics, and colorful photography that celebrates the birds quirky personalities and charming good looks. If it's fowl facts and photos you want, you'll find them all here.